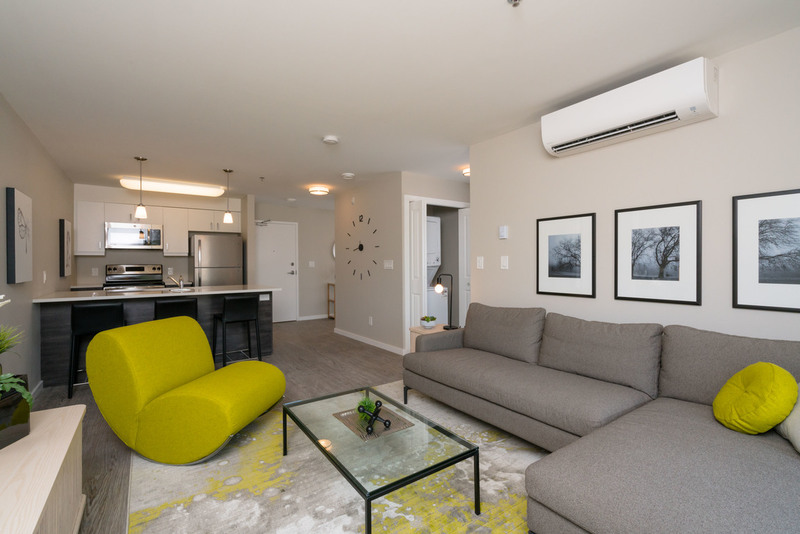 Deveraux Apartment Communities offers bachelor, 1, 2 and 3 bedroom apartments at this pet friendly property located in Winnipeg's Southwest Tuxedo neighbourhood. Located at 711 Sterling Lyon Parkway, Winnipeg. (Apartment #113). Please park in the Leasing Office lot. Be the first to view this brand new apartment community. Setting The Summit at Seasons apart is the onsite Resident Clubhouse. This state of the art building houses on site leasing, administrative, and maintenance staff, as well as a commercial grade fitness centre, tenant lounge, games room, and café-like study room. Residents can cozy up to the indoor fireplace, play a game of billiards, workout in the gym, or enjoy the outdoor fire pit and common barbeques. The Summit at Seasons brings renting to a whole new level! Creative floorplans and luxurious finishes such as stainless steel appliances, underground parking and an on-site fitness center, make this property exceptionally stunning. Located in the Southwest of Winnipeg on Sterling Lyon Parkway. The Summit at Seasons is just steps away from the brand new Outlet Collection Mall, IKEA and has plenty of other amenities right at its doorstep. You will love the convenience that this location has to offer. Join Deveraux Apartment Communities and be a part of The Club! The Club grants you exclusive discounts and special offers to some of Winnipeg's hottest establishments and retail providers.